Kanpur : New Zealand resisted well but didn't manage to avoid defeat against India by 197-runs in Kanpur Test, which was also host's 500th Test match. Chasing down massive 434 runs on final day of the Test match with only six wickets in hands was never on the favourable side, but New Zealand managed well in delaying India's victory, which came with only 14.3 overs were left in the day. India had lost their 100th and 200th Test but were on a winning side in 300th and 400th Test match. 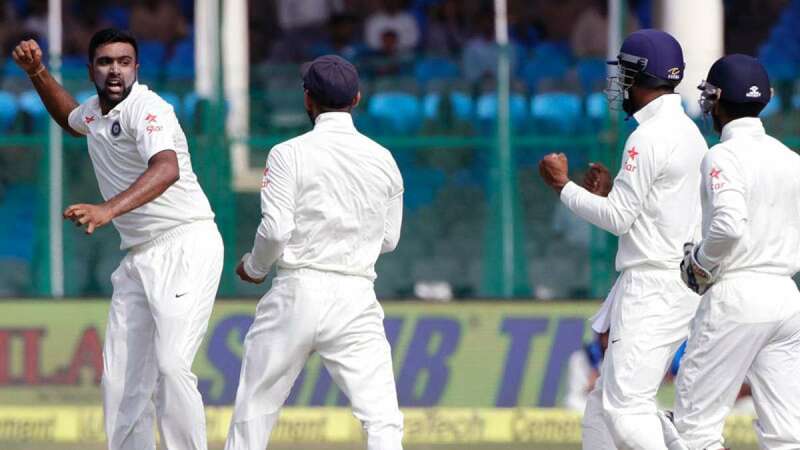 # India claimed an astonishing victory by 197 runs against New Zealand in their 500th Test. # Ravichandran Ashwin reached his fifth ten-wicket haul (10/225) with a handy knock of 40 runs in the first innings. # He also became the fastest Indian to 200 Test wickets and second-fastest in Test history, achieving the feat in his 37th match. # Murali Vijay and Cheteshwar Pujara's twin fifties took India to a commanding position in the match. # Ravindra Jadeja too had a stellar match claiming five for 73 in the first innings before scoring 42* and 50* lower-down the order.